Drum majors from middle school through college will find this DVD extremely helpful in their quest to be the best drum major they can be. Students are guided through audition preparation; basic field conducting; cueing standards; basic showmanship; muscle coordination; how to prepare for a leadership position and much more. 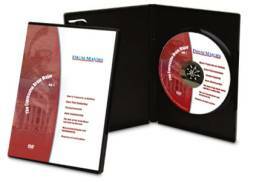 Taught by Doug Brasell, this DVD will be most beneficial for those wanting to take on the challenge of being drum major.